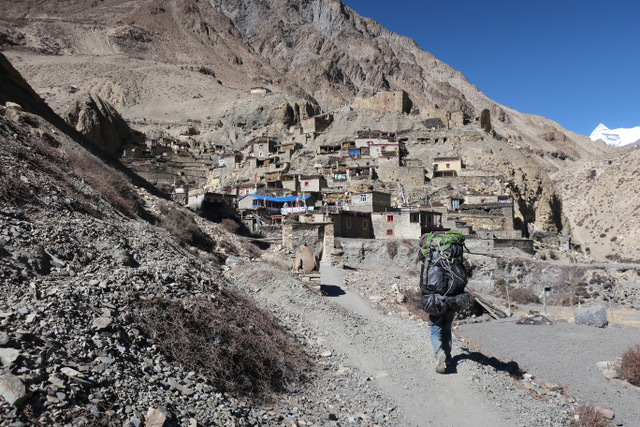 Ennovent and Trail Angels GmbH are excited to have initiated a new business venture, Fair Trail Himalayas, which aims to promote sustainable and environmentally friendly trekking trails in the Himalayas. The venture will develop, market and manage new trails for an immersive experience of the local culture and environment, and devise benefit sharing mechanisms for local populations. This will incentivise conservation of the fragile landscape surrounding such trails, which is imperative for the continuity of the local population’s diversity and sustenance. We are also developing ‘Fair Trail’ standards for trails which will be based on responsible and ethical tourism and will further enhance benefits to the local environment and populace. 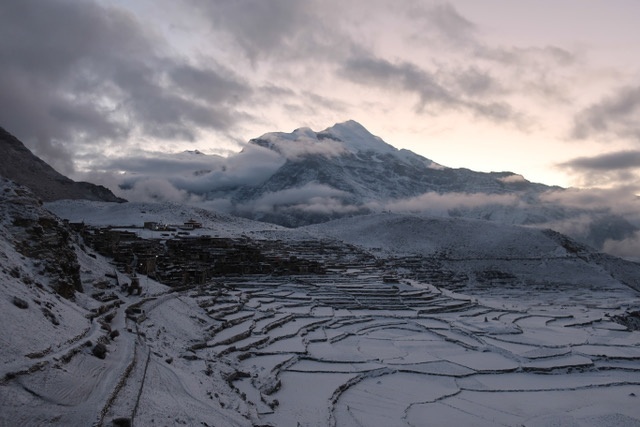 The first step towards accomplishing our goal is the Snow Leopard Trail, for which we have partnered with the Snow Leopard Conservancy (SLC), Global Primate Network, and Mountain Spirit, who have been working to conserve snow leopards in Nepal for several years. 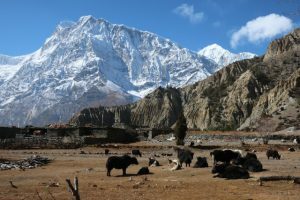 Conceptualised in the Manang district of Nepal, the Trail will benefit Naar and Phu valley, which are among the most under-served areas in Nepal. 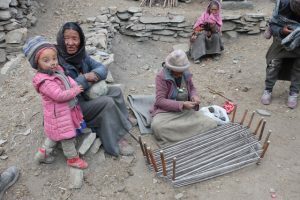 Phu is a 2-3 day walk from the nearest road and the livelihoods of most people living in the area are dependent on livestock, non-timber forest products, tourism or subsistence agriculture. With reports suggesting that the snow leopards in the area depend on livestock for close to 1/4th of their diet, the chances of human-wildlife conflict are very high. 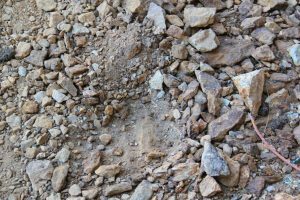 The benefits from the Trail are positioned to support the local people and conserve the endangered snow leopards through benefit-sharing mechanisms. These mechanisms will diversify local livelihoods, and reduce the probability of such conflicts. 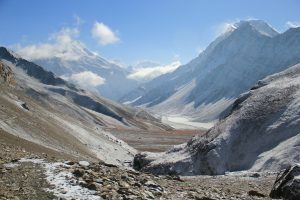 The Trail will thus provide trekkers with a unique experience of the habitat of the majestic snow leopard, while also supporting the conservation of its ecosystem. 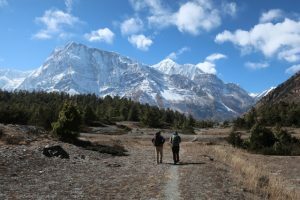 In November 2018, Peter Scheuch (Founder and Managing Director, Ennovent) and Tapas Neupane (Country Director, Ennovent Nepal) undertook an exploratory trek along with our venture partners to finalise the design for the Trail. 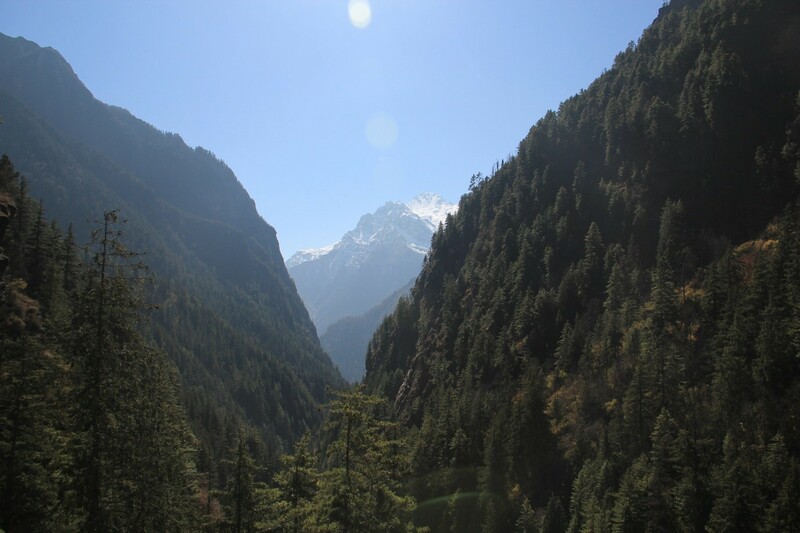 Below are some pictures from their journey, to give you a peek into what you can expect while on the Snow Leopard Trail! The first day: Walking through pristine forests and deep gorges. Exciting find: Snow leopard scrap!